Powerful 2,600 Lumens Light Output and Colour Light Output – All the power you need to create big, bold presentations. Broad Connectivity – Enjoy the flexibility of a wide range of inputs. Whether you’re working from a computer, presenting from a USB or want to connect via RS-232C, the EB-X11 will always be able to deliver. Horizontal and Vertical Keystone – Project from virtually any angle with the easy to use keystone correction system. Low Cost of Ownership – The EB-X11 utilizes a low priced lamp and makes use of a new High Efficiency Filter; extending the life of your projector. The Epson EB-X11 projector delivers 2,600 lumens of light + colour light output for rich colourful images. Whether you’re projecting images with deep, dark colours or a white screen with minimal text or graphics, you get consistent light output. This makes the EB-X11 bright enough to be used as either an installation or desktop projector in even the brightest of rooms, without the need to dim the lights or close the curtains. The USB Display function for Windows and Mac PC makes it possible to connect to a PC via a USB cable instead of an RGB cable. It is also possible to view a J-peg slide show file without a PC by simply inserting a USB memory device. 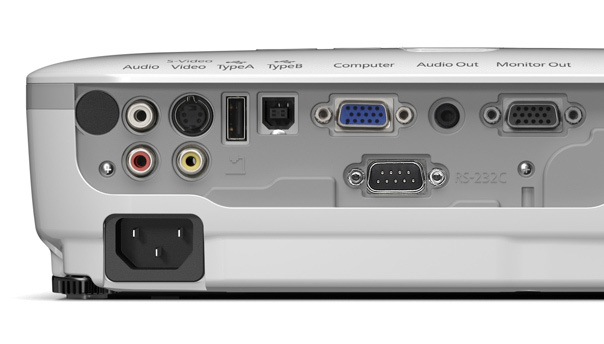 The EB-X11 also boasts an RS-232C input allowing you to control the projector straight from your PC. Epson’s horizontal and vertical image (keystone) correction means you can project a rectangular image from almost any Angle. The EB-X11 Series automatically corrects the image vertically. And for horizontal image correction just move the easy-slide control bar to make the necessary adjustments. Your EB-X11 projector can be off to the side and above or below the screen, while your presentation is front and centre. 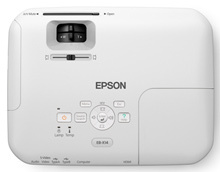 With a direct connection to the Epson DC06, the EB-X11 will allow you to display documents or 3D objects within seconds. 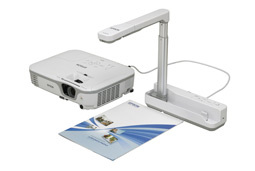 The addition of an Epson Document Camera enriches the learning experience, enabling you to capture and share content from textbooks, models and more. The EB-X11 utilizes a low priced and makes use of a new High Efficiency Filter; extending the life of your projector.